Passengers embark at the Charles Riverboat Company ’s dock on the Lechmere Canal in East Cambridge. 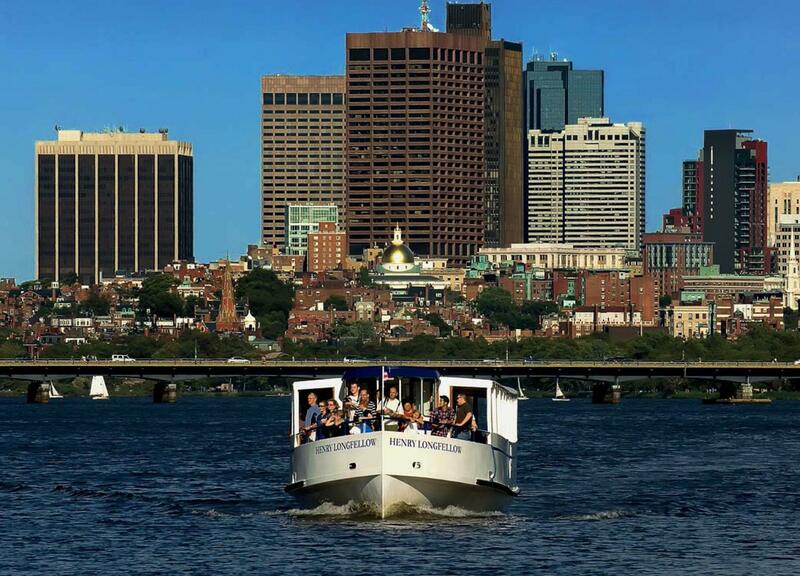 The boat passes the Museum of Science, then slips beneath both the old Boston and Maine Railroad Bridge and the new Leonard P. Zakim Bunker Hill Memorial Bridge before entering the Charles River Dam’s locks, which open and close depending on the tides, Evans explains. The inner harbor features views of Charlestown and the North End. Beyond, the financial district includes the Custom House Tower and India Wharf—the nineteenth-century center of international trade that’s now home to the Brutalist-era Harbor Towers.